In the first in a series of 2017 Trailwalker fundraising events organized by Oxfam Intermón, the Spanish of international development aid organisation Oxfam, more than 2,100 people grouped into 354 teams of six walkers trekked 100 kilometers in a 32-hour walk through Catalonia over the weekend, raised 730,000 euros in support of famine and hunger relief and to provide clean drinking water to communities in sub-Sahara African countries. According to Oxfam Intermón’s organizing team, 87% of the trailwalkers made the 100-kilometer trek from Olot to Sant Feliu de Guíxols via Girona in less than 32 hours. Nearly a third of the walkers this year were women and nearly two thirds of the teams were formed by employees of companies who encouraged their workers to participate and contributed to the fundraising effort. The 730,000 euros raised will go toward supporting the more than 400 Oxfam projects designed to alleviate hunger, disease and poverty in communities throughout the developing world. 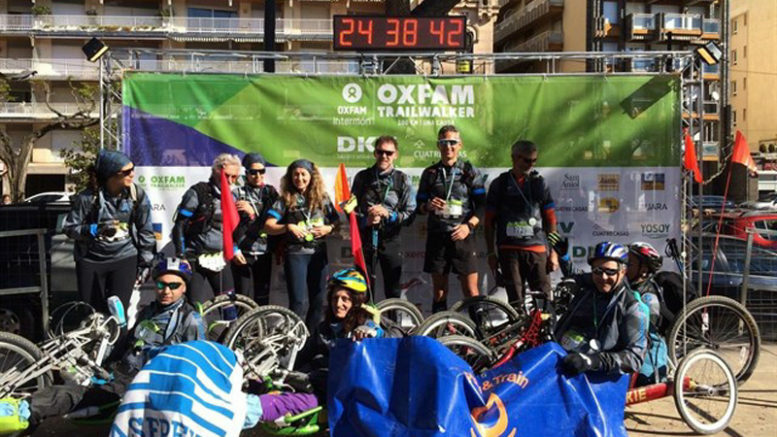 As a result of the success of the Trailwalker event in Catalonia, Oxfam Intermón says this year it will also be hosting similar Trailwalker fundraisers in Vitoria in May and in Madrid in June.